Ruth Ray was the daughter of store keeper John Webster and the wife of garage owner Herbert Ray. She taught school for 17 years and was postmaster for 25 years. She kept her financial affairs and her will to herself. When her will was read she had left her estate to the town which included $250,000. to establish the Ruth Ray Library Fund, her home which is now the Post Office and was once the Webster Brothers Store and the former grain barn of Webster Brothers store which is now the Library. 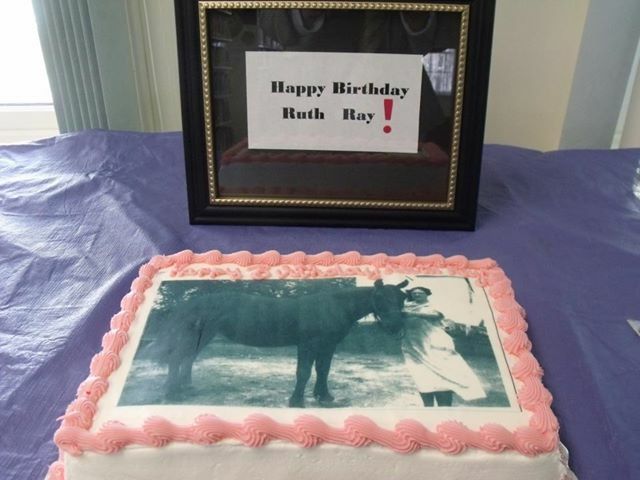 A Remembrance Day had been held every year on April 27th to honor Ruth Ray’s Birthday. Her wedding band, engagement ring, wedding invitation and her organ are displayed in The Chester Historical Society Museum.